LongTurn game 6 has been started! 300 human players, each with their own island! You play one turn every day, the turn timeout is 23 hours. More info on LongTurn games on the wiki. Join LongTurn Game 6 here! Last edited by AndreasR on Tue Jul 25, 2017 5:33 am, edited 4 times in total. w0000! First game I get to join at Turn 1! Normally I would not like the islands map but it is an interesting change of pace. The occassional one is cool. Another interesting aspect is that the islands are quite small. In the other games every little detail & move are important and add up but in Game 6 it will be even more so. Small moves will have HUGE impacts in the earlier stages of this game. So good luck & have fun everyone and I'll see you on the open seas. Tech trading is disabled in this game. This is the same as the Longturn.org games. My island is so small, I don't have room to settle all of my settlers. Now the question is, do I have my spare settler join an existing city, or do I rush to make a boat and find an island that doesn't have a player on it yet? AndreasR wrote: Tech trading is disabled in this game. This is the same as the Longturn.org games. I hope this isn't going to be the new standard. Tech trading is an integral part of diplomacy. I want to have game settings in Freeciv-web which are wanted and in the interest of the majority of players. So if most players wants to enable tech trading in the next games, then I will enable it. Please see this previous discussion about this. The "a large alliance would be in a bigger advantage over a small alliance" is a pretty strong argument against enabling tech trading. I'm not sure that enabling tech trading is in the interest of the average player in LongTurn games on Freeciv-web, especially games with hundreds of players. So far, there has been some LongTurn games with tech trading enabled and some with it disabled. GrantHenninger, perhaps you can discuss more why you think tech trading is so important to you, that you have actually made two separate posts requesting it? The games on LongTurn.org also have tech trading disabled. Why should it be enabled for Freeciv-web? AndreasR wrote: The "a large alliance would be in a bigger advantage over a small alliance" is a pretty strong argument against enabling tech trading. Is it? Because that's realistic. AndreasR wrote: The games on LongTurn.org also have tech trading disabled. Why should it be enabled for Freeciv-web? The United States of America have public health care disabled. Why should it be enabled for Europe? Just that something is one way in one place doesn't mean that it has to be that way everywhere else. I'll be honest, when I saw that this was going to be an island game, I was thrilled and about to join even though I was already pretty occupied with other stuff, including the first four longturn games. However, the fact that tech trading is disabled immediately made me reconsider, because really – what else is there to do diplomacy with? Trade gold for gold? Trade cities? Disabling tech trading makes most of diplomacy moot. You meet up with someone, form an alliance, give each other shared vision and that's it. You won't be opening the diplomacy window again in basically forever, unless one of you trusts the other enough to give them bailout money for nothing. I don't know what the others think, but at least here on the forums, I get the feeling that essentially everyone who does say something is in favor of tech trading. I literally cannot remember anyone else here saying that they prefer tech trading disabled. So I dare say that "most players want to enable tech trading in the next games". Thanks for the feedback, Caedo. Like I have said previously, if most players want to enable technology trading for the next game, then I'll do that. I agree that tech trading benefits large alliances over small alliances or individual nations, but that's how real life works too. With tech trading disabled, if you get behind in tech, you can likely never catch up. With tech trading enabled, if you or your alliance get behind on tech, there are multiple options to get caught up, such as bribing somebody to come over from a more advanced alliance, or switching alliances yourself. Tech trading adds an extra layer of strategery to the game that I enjoy. As for the argument that longturn.org doesn't do tech trading, I see that as an argument for doing tech trading here. 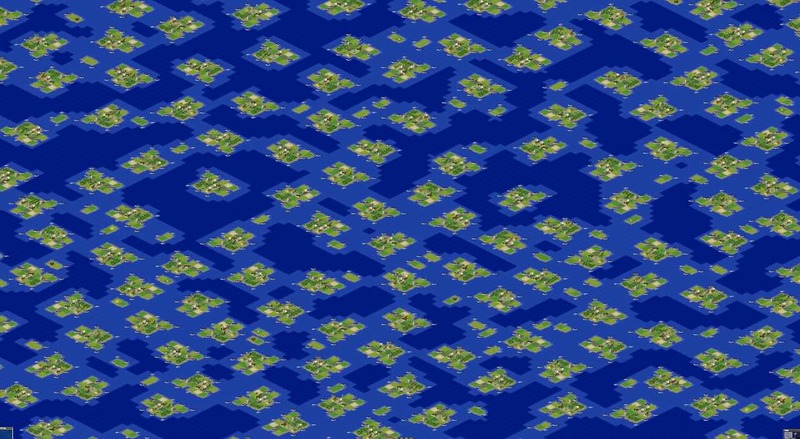 If somebody wants to play a long turn game without tech trading, they can go to longturn.org, but you have the opportunity to differentiate freeciv's long turn games from longturn.org's long turn games. I really hope for tech trading + tech upkeep. This sounds like a very elegant solution to me.